There are 8 different scheduling screens to choose from in Scheduling Manager Gemini so you have the most options for viewing your jobs, simply pick the one you like! 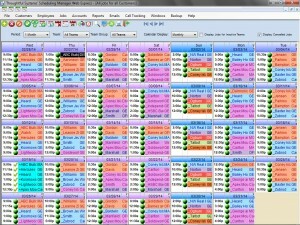 No other scheduling software has this many options. The Job Calendar All Teams provides more flexibility for how you can view your jobs. It can be adjusted so that you can either see a whole month at a glance, or 2 weeks at a glance or even just one week at a time. You can also change the view to see jobs for just one team, or for just one customer. 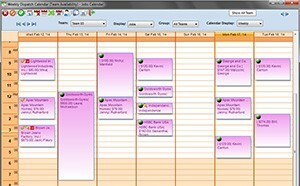 The Weekly Dispatch Calendar is one of our newest additions to our suite of Interactive Job Scheduling screens. 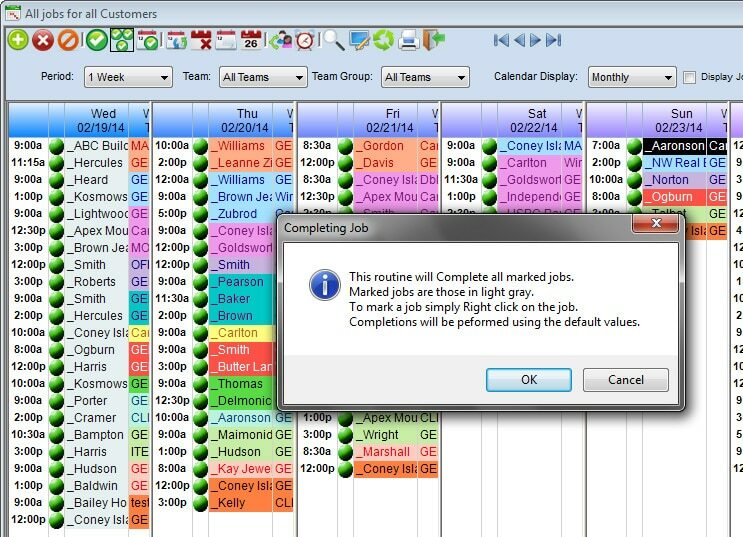 It still has all the same great features and options of previous interactive calendars, but also allows you to drag and drop jobs to move them, or to “stretch” jobs out to change Start or End times. 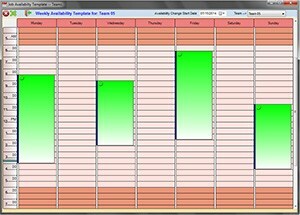 The Availability Calendar allows you to create templates for the availability of your employees. This is a great feature if you have many employees who work part-time, for example, Monday and Tuesday mornings and Wednesday and Friday afternoons. It works in conjunction with the Weekly Dispatch Calendar and the Daily Dispatch Calendar and allows you to view both your availabilities and scheduled jobs at the same time. You can also mark a particular absence for an employee if, for example, they have a doctor appointment and will not be working at a time when they normally would be. “Stretch” jobs to change job times. Team members are listed at the top of the screen. Used hours and available hours for each team are totalled at the bottom of the screen. Select your own colors for each team. Shows schedules for all teams. Telephone icon indicates customers that require a reminder call. The telephone changes color to indicate whether the call has been made yet. Key icon indicates which customers you possess keys for. Drag sick or absent employees from the team. If this employee is the team leader (driver), then the other employee in the team is moved to an Unassigned list, where they can be reassigned. In this case the jobs originally scheduled for this team are also moved to the Unassigned list and their length is adjusted to reflect the new number of employees performing the work. SMS text message reminders to all customers who require a reminder in a matter of seconds. This calendar has been designed to streamline your scheduling and dispatching process and includes many useful features that provide you with a picture of your day at one glance. The Employee Scheduling Calendar is a new calendar with some great new features. Like the Weekly and Daily Dispatch Calendars, it allows you to drag, drop and stretch your jobs to move them around. Unlike our other calendars, however, this calendar lists jobs by employee. 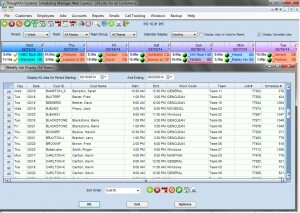 The employees’ names are listed vertically down the left-hand side of the screen, and the jobs are represented by bars next to the employees’ names. The green shaded bars represents the employees’ available time spots. Hovering the mouse over any job displays certain information on the right-hand side of the screen. If more than one employee is assigned to a particular job, the two employees’ jobs will be connected by a line. The Customer Dispatch Calendar is an interactive calendar that shows you jobs by customer. 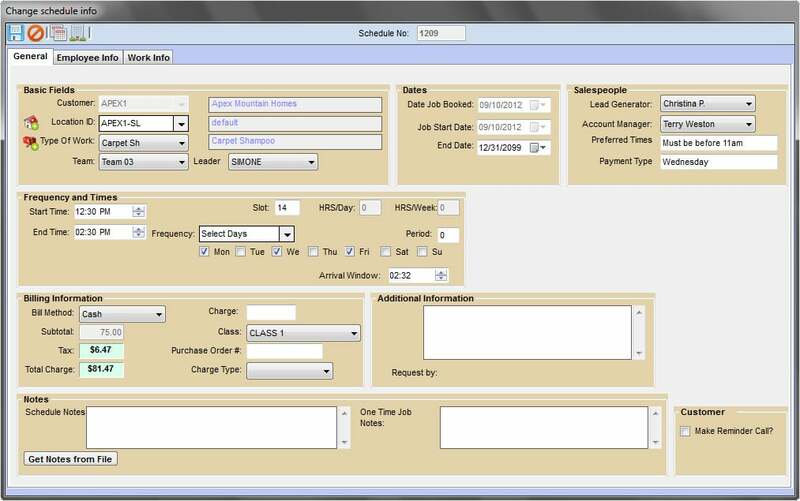 From this screen you can add, edit, delete and complete jobs. In addition to this, you can drag-and-drop the jobs and customize the appearance of the screen. 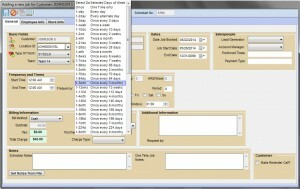 The Job Confirmation Calendars are available in either a weekly or daily format. They provide you with an “Unconfirmed” list of jobs for you to drag and drop onto the calendar to assign them to a specific date. 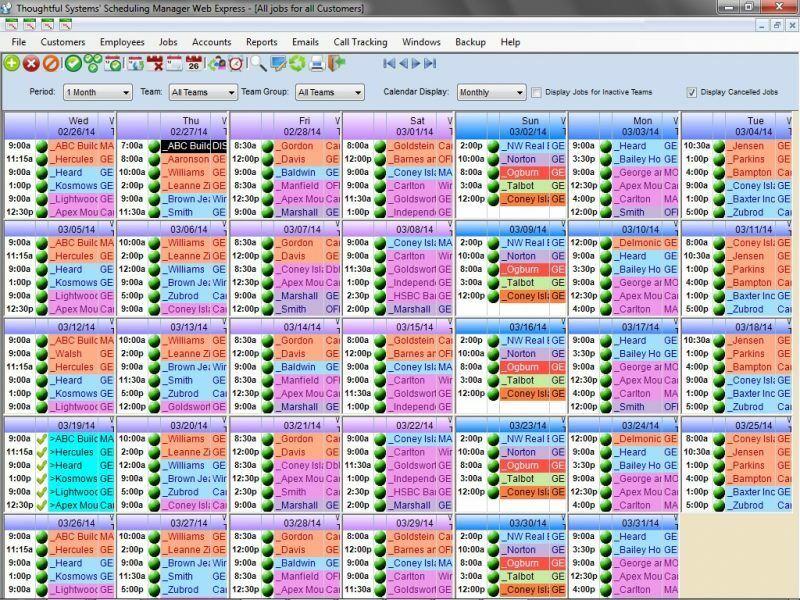 This calendar view enables you to view multiple teams for a 6-day week. It also offers an “Unconfirmed” list of pending jobs for you to drag from and drop onto the calendar for a specific date and team. 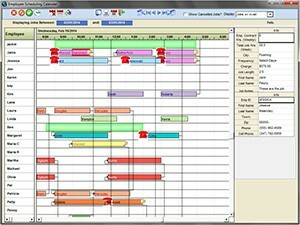 In Scheduling Manager Gemini there are over 40 different types of frequencies to choose from. This means that you can create any kind of schedule you wish! Future jobs are added in automatically for you. You simply need to print out your job tickets/work orders for your employees for the next day, next week, or whichever period you wish! When customers call you can enter job notes for your employees with any special instructions. You can entire these notes to carry through the entire schedule or for one single job. There is no need for your office staff to remind the employees, the notes will print out on their service orders! You may have a set of notes or instructions that you will wish to re-use quite often. 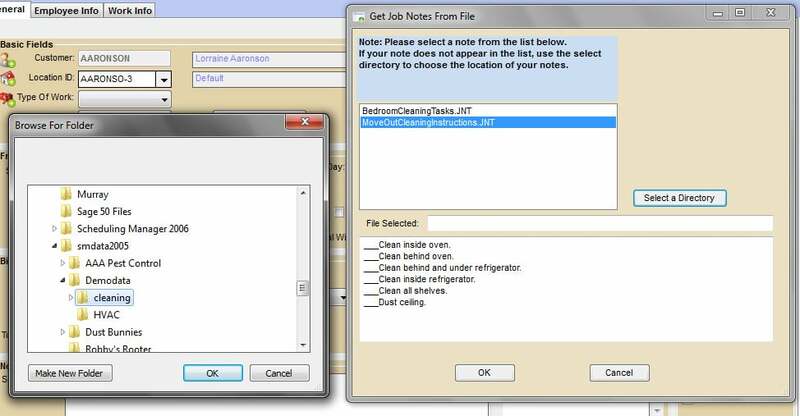 In this case, you can use the Job Notes Templates to define a list of instructions so that when creating new schedules instead of re-typing the list again, you simply need to select the notes you wish to import and they will be imported and applied to the job for you. You can create an unlimited number of Job Notes Templates to use in this way. It couldn’t be easier to make changes to your jobs. Simply double-click a job on the calendar and it will “explode” allowing you to change any details for the job for the day, the charge, job notes, employees assigned, etc. 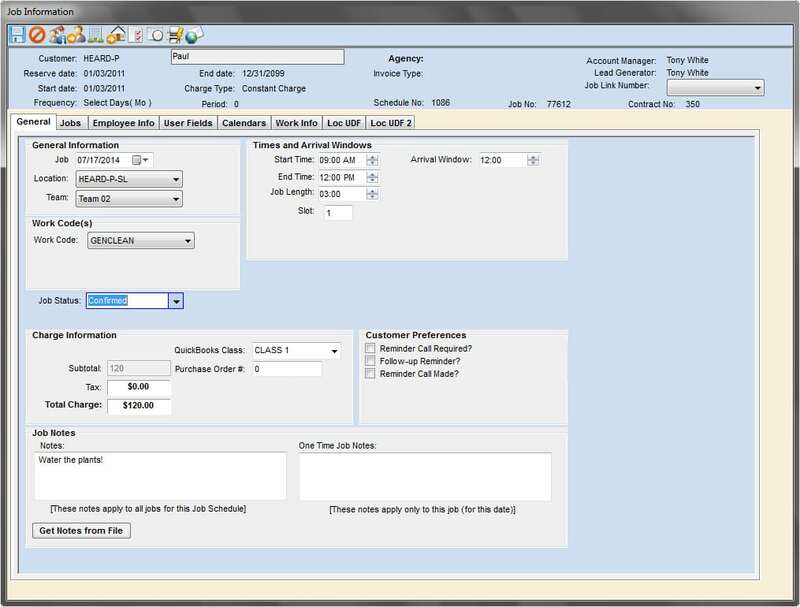 Recent additions and improvements to the Explode Job Screen include a tab that shows all User-Defined fields for the customer. These fields can be renamed by you to be used to store whatever information you wish. Some examples of common uses would be “Pets” or “Model #” or “Customer Type”. 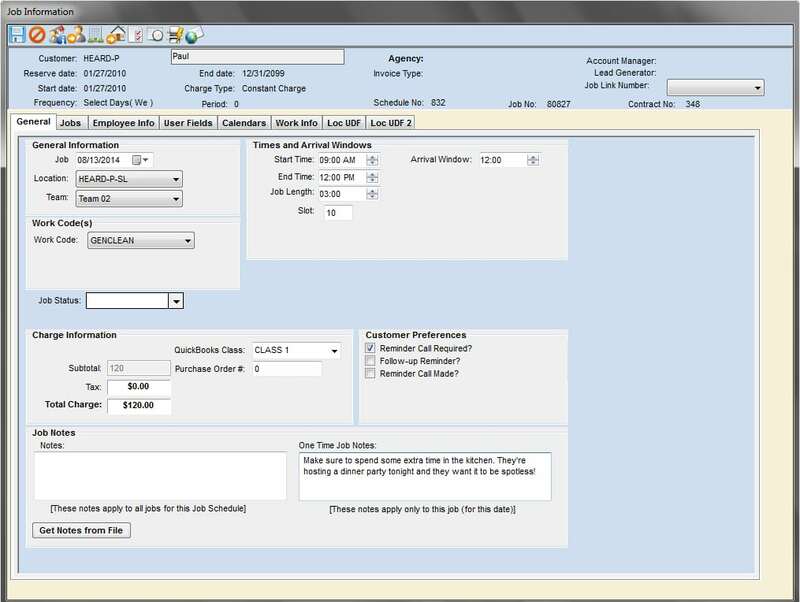 The new and improved Explode Job screen also now has a Calenders tab that shows all other jobs scheduled for the customer. The new screen also has a “Go To Customer Record” icon that will take you to the customer’s information, if you wish to look up their email address or their account information, for example. In addition to being able to make one time changes on jobs, you can also make changes to entire schedules. This will save you enormous amounts of time if, for example, an employee leaves the job permanently, if you increase the job charge for your customer, or if your customer decides they want to to come on a different day. 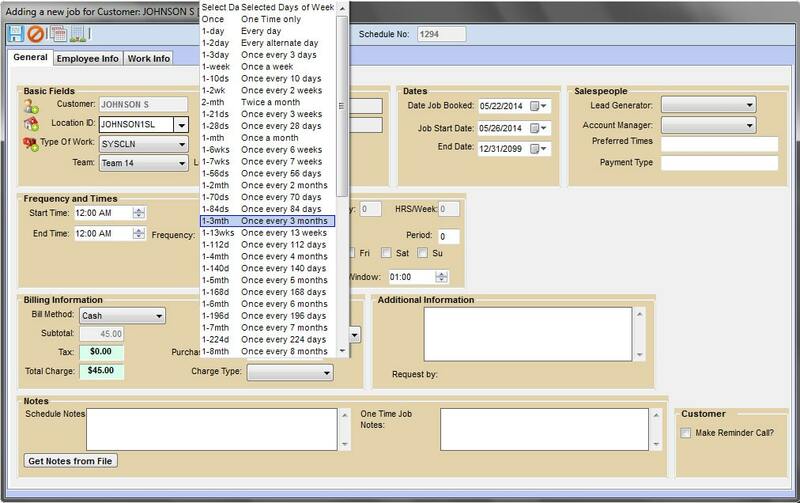 In Scheduling Manager, we aim to provide you with software that’s as flexible as possible, to give you many options of viewing your data so you get the most from your purchase. This is why nearly every screen in Scheduling Manager is fully customizable so you can make it look exactly the way you want. The best part of Scheduling Manager Gemini, where everything comes together, is on the Completions Screen. It is the simple act of completing a job (as simple as a click of the mouse) that simultaneously updates your accounts receivables (creating an invoice for your customer if desired) and up also updates your employees’ payroll information. This means there is no double entry for you. Everything is updated at the time the completion is performed and all you are left to do is run your reports, or print your invoices or statements. It’s that easy. In addition, the Completions Screen offers you yet another place to modify details of the jobs, if for example, one of your employees did not turn up at the work site. 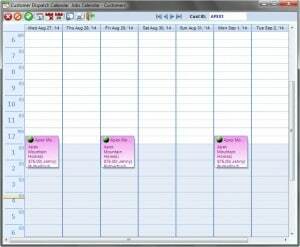 In Scheduling Manager you have the option to complete multiple jobs at the same time. This is perfect if you have many jobs for which the actual job details for work performed were the same as that scheduled. Now users can click a button on the Daily Management Calendar, which will cause the system to send an SMS message to all customers who require a reminder call. In Scheduling Manager you can easily send SMS text messages of your jobs to employees. 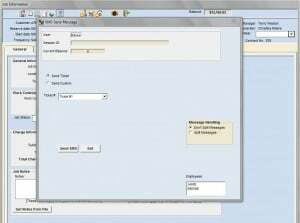 You can text a predefined message with a click of the button that contains all job information, or you can type your own message for the employee. Some users have found this feature very useful. One user in the UK found that this feature would save his staff approximately two hours a day. He calculated that this would result in savings of approximately £10,000 ($20,000) per year! 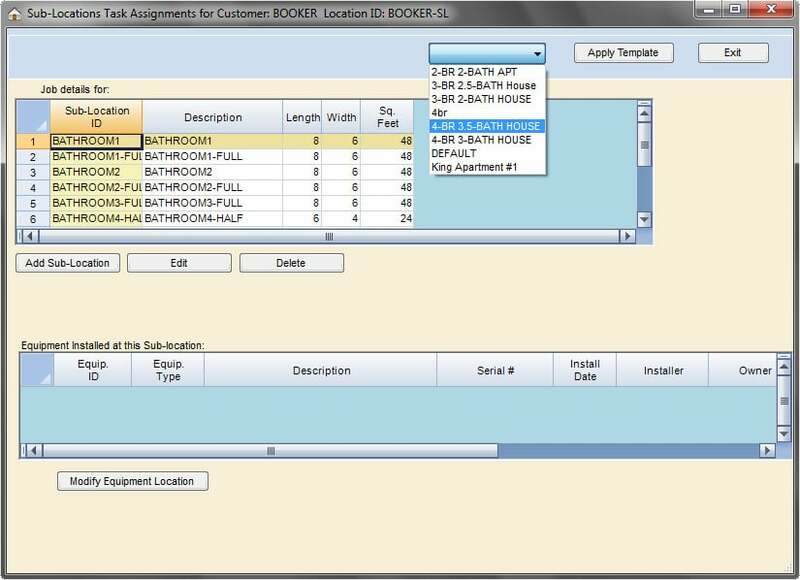 The Task Manager is a new flexible tool in Scheduling Manager Gemini that allows you to create rooms for customers if you choose. The feature also allows you to create templates, for example for a 3-Bedroom 2.5-Bathroom house, that will automatically apply the rooms associated with such a house to the customer. You are then able to specify tasks to be performed in each room. For example, change bedsheets in the bedroom and mop the floors in the kitchen. 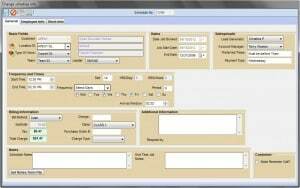 The software also calculates the cost of the job for you based upon the tasks that you select and the size of the rooms. The Gemini version enables you to define your own Zones, as well as corresponding colors for each zone. 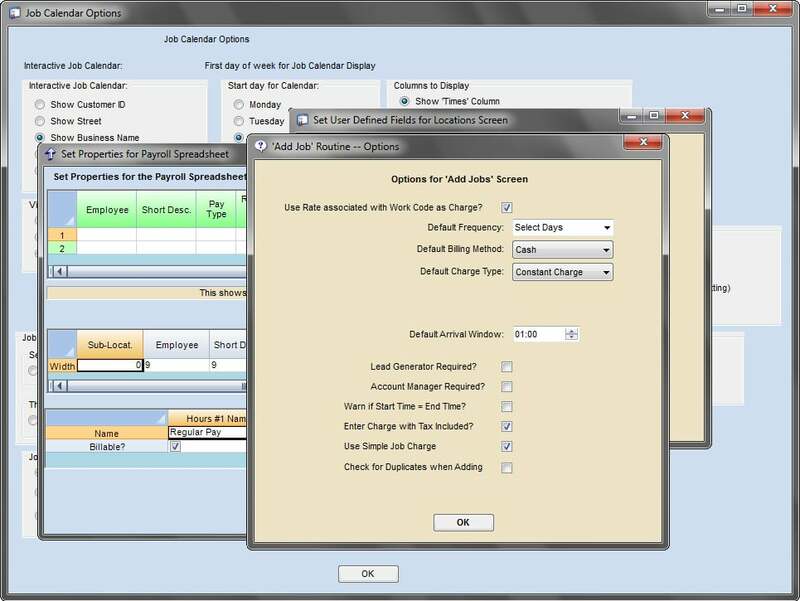 You then have the option to select for jobs on the calendars to display using the Zone colors. This new feature enables you to define the total # of employee hours for a job. All that needs to be done is to enter a Start Time, enter the Job Hours, and the End Time of the job will be recalculated based on the # of employees assigned. 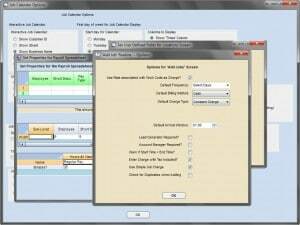 If you later add or remove employees to the job the job length will be automatically recalculated. In the Gemini version you now have the ability to define your own “Job Status” codes. This is a versatile new feature that you can use to define your own stages of a job to track. You can also optionally choose to color-code the jobs on your calendars by color, and select your own colors for each Job Status code. This new feature prompts you to record a reason if you cancel a job, change an employee, or if you make a change for a customer for whom you have a key on file. 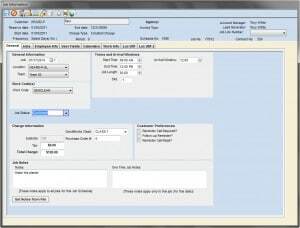 These prompts ensure you collect as much data as possible about cancellations and employee changes and also to reduce the number of “close-outs” that result from employees not having correct keys. 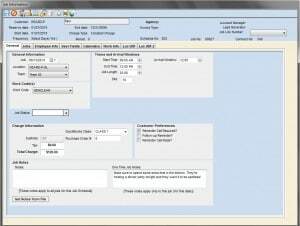 Automatically include a stored image to be printed with customers’ job tickets, for example, if you wish to include a property plan with each job ticket. 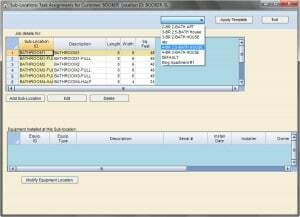 The Barcoding Job Assignments feature in Scheduling Manager enables you to quickly and efficiently move jobs in bulk and also to complete jobs in bulk. 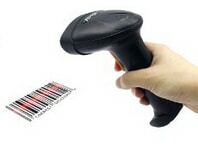 This is accomplished by scanning in barcodes from work orders created in the Scheduling Manager. This one feature alone saves many businesses countless hours they would otherwise spend performing these tasks! Record which chemicals were used and how much for each job. You can also generate Chemical Usage reports to show totals for all chemicals applied in a selected date range.